Don’t Cross the Line! 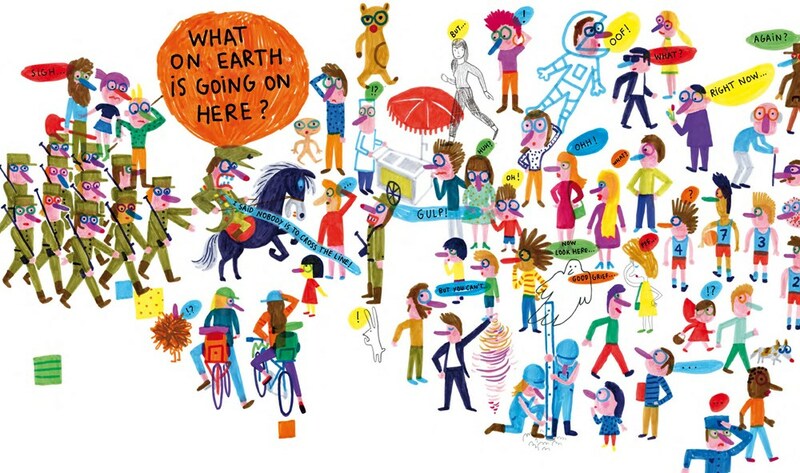 by Isabel Minhós Martins and Bernardo Carvalho is a perfect picture book for many, many reasons. It’s funny, it tells a meaningful story that acts as a commentary on questioning authority, and it is impeccably designed. 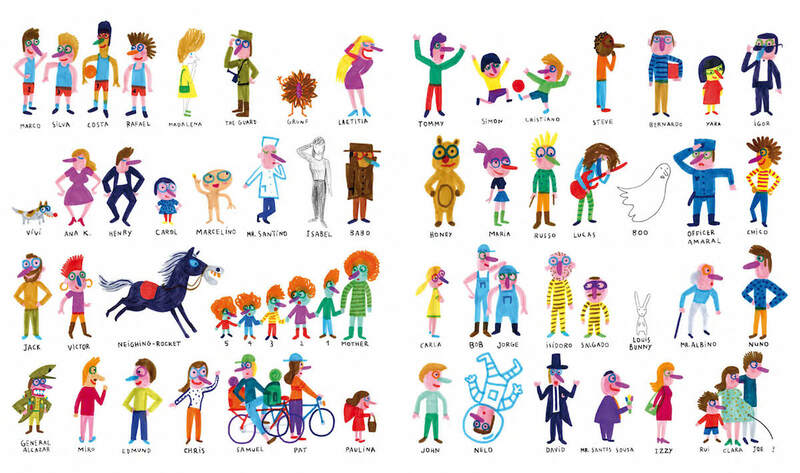 The endpapers introduce readers to all of the characters, naming each one and giving each a distinct personality. This helps readers connect with the characters before we slowly meet them in the book. Speaking of which, the premise of the book is awesome. Here’s what happens: the General states that no one is to cross the center of the book (the gutter) and places a guard the left side of the spread (verso) to make sure no one crosses to the right side (recto). 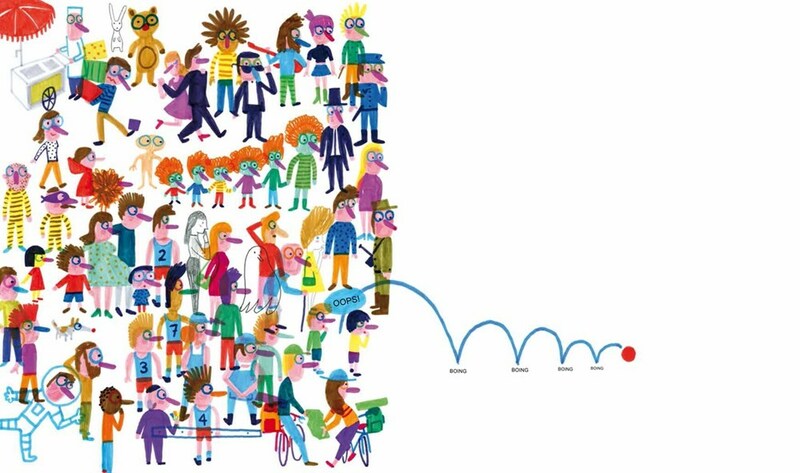 Naturally, the people we met in the endpapers begin to fill up the verso page, and it doesn’t take long before things get very, very crowded. So what happens when a young duo’s ball accidentally crosses the line? The answer is, of course, chaos. It doesn’t take long for the two boys to chase after their ball, and it takes even less time for everyone else to follow suit. The simple act of two boys crossing that line gives others the courage to question their decision makers and take back control of their space. Given that this is a children’s book, it’s significant that the first two to cross the line are children. 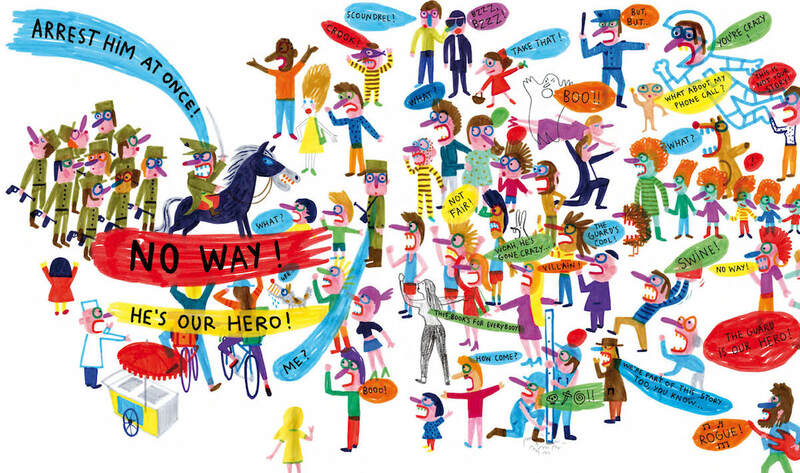 They have their innocence to protect them from the General, and the general even declares on the last spread that he’s leaving this book because he doesn’t want to be “the hero of a children’s story anyway.” He cedes the book to them, and therefore to the book’s child readers, too. 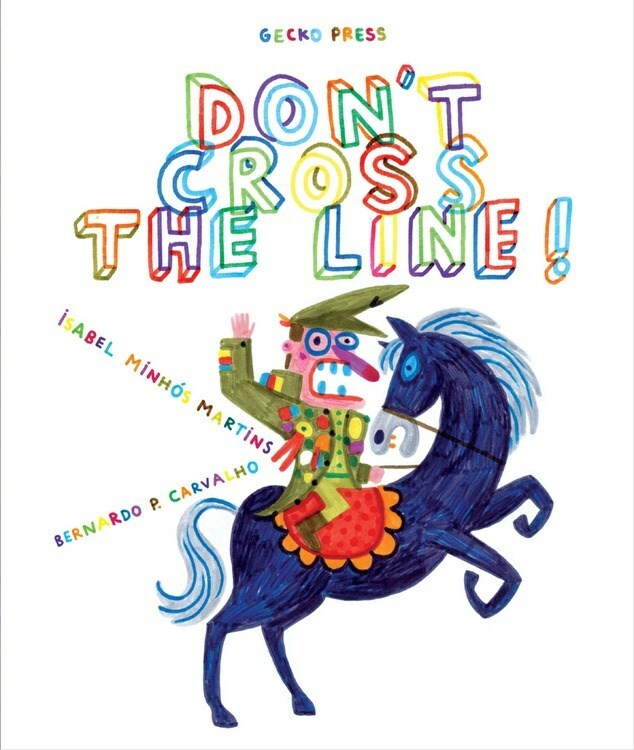 The marker illustrations add to that childlike quality, almost as though Don’t Cross the Line was never truly the General’s book to begin with. This book belongs in the hands of someone willing to explore the space within it, and the General’s declarations only hinder the citizens of the book’s pages. A cleverly crafted book that utilizes space, medium, and book design to convey story, this is a story not to be missed.